At the Tooth Booth Dental Lounge we offer Dentist Checkup & Clean including X-rays ( inclusive of OPG Xray) for just $149 for Adults, $85 for Children ( 12yr and under) or No Gap Payment* ( no out of pocket expense if you have private health insurance). The Tooth Booth is dedicated to promoting good dental health to your whole family, so they have the best chance to achieve a beautiful, healthy smile for life.Regular dental check-ups can prevent the need for major dental work in the future and is far more cost effective than allowing problems to go on undetected. 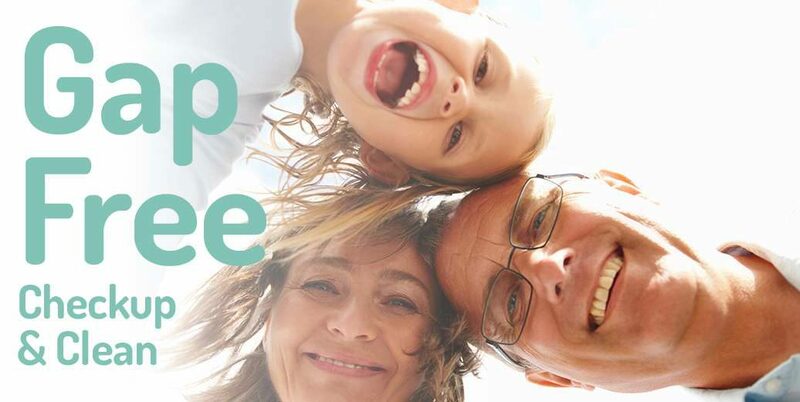 The Tooth Booth offers our patients $149 or Gap Free*( no out of pocket expense if you have private insurance) Check-up/Clean & X-rays to keep your family’s dental heath in excellent shape. It is almost never too early to get into the healthy habit of six-monthly dental visits. Children as young as three years of age are advised to visit the dentist for a regular check-up and clean so that they become familiarized with their local Tooth Booth Dental Care Centre to help maximize their chances of achieving lifelong dental health. Preventative dentistry is a combination of treatments that will help keep your teeth and gums in the best possible condition. Preventative dentistry procedures offered by the Tooth Booth Dental Lounge include hygiene appointments and treatments for gum disease (periodontal disease). Your preventative dental care routine extends to home dental care, as brushing and flossing regularly will prolong the life of your natural teeth and can prevent tooth decay and gum disease from developing. With patient education a huge part of preventative dentistry we can offer you customised advice on home dental care and how to reduce your risk of tooth decay and gum disease.